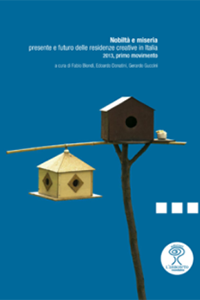 Sotterraneo theatre company began working as a research collective in Florence in 2005. The group is comprised of long-term members as well as a cluster of collaborators whose numbers vary according to the project at hand. The resulting working group aims to investigate the linguistic possibilities of theater – a place characterized by a physical and intellectual time, both old and hopelessly contemporary. Sotterraneo like to experiment with different formats, producing cross-cutting and stratified pieces in search of form and content. These range from front shows to site-specific performances, and tend to focus on today’s contradictions and dark sides. Further, Sotterraneo’s avant-pop approach seeks to narrate our times whilst striking a balance between the collective imagination and the most unconventional thinking. In this context, the stage is a place where citizenship is formed, as well as everyday gestures of culture testing the audience’s critical consciousness. After all, the audience is the company’s main interlocutor and at the heart of all their projects. Sotterraneo have received some of the most important national and international theatre awards: Lo Straniero Award and Ubu Special Award in 2009, the Hystrio Castel dei Mondi Award in 2010, the Silver Laurel Wreath Award for Dies irae at Sarajevo’s MESS Festival in 2011, the Eolo Award for Best New Artist for Children’s Republic as well as the ACT Festival Prize and BE FESTIVAL 1st Prize for Homo ridens at Birmingham’s BE festival in 2012. Lastly, in 2016 they received the Best of Be Tour Award at Birmingham’s BE festival. Overload wins the Ubu Award as Best Theatre Show 2018. Sotterraneo gets together while working on their first project, called 11/10 in apnea. Their shows include Post-it (2007), The Thing 1 (2008), The Diptych on the species comprised of Dies irae _5 episodes around the end of the species (2009) and The Origin of species_from Charles Darwin (2010), Homo ridens (2011), a children’s theatre show by the title The Children’s Republic (2011), the Daimon Project comprised of BE LEGEND! (2013) and BE NORMAL! (2013), the show WAR NOW! (2014, co-directed with the Latvian director Valters Silis as part of the European project Shared Space), Around the World in 80 Days (2015), and lastly Overload (2017). Their performances tour Italy’s main cities as well as abroad – in Spain, Germany, France, UK, Portugal, the Netherlands, Switzerland, Russia, Bosnia and Herzegovina, and Chile. In this period of time Sotterraneo have also participated in several other projects with different formats, such as short plays, site-specific performances, mise-en-espace, and other commissioned projects. In 2012 the collective were called upon by the prestigious Rossini Opera Festival in Pesaro to direct Mr. Bruschino by Gioachino Rossini. 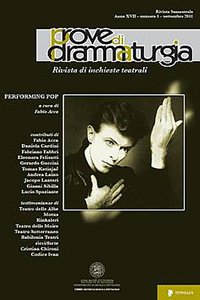 Sotterraneo are also involved in drama training courses, and have organised drama workshops for the Municipality of Florence, Fondazione Toscana Spettacolo, Centrale Fies, Amat, Irigem, Fanny & Alexander, Laboratorio Nove, University of Florence, Pistoia Theatre Association, Theatre of Europe (London), Istituto Italiano di Cultura (London), BE Festival (Birmingham), and Teatro La Abadia (Madrid). 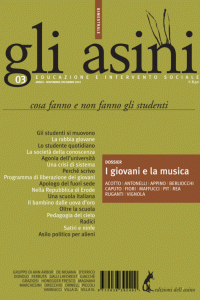 Between 2008 and 2009 the company was supported by the ETI project Nuove Creatività; since 2008, the company has been annually supported by the Region of Tuscany, while from 2015 they have been supported and funded by the Municipality of Florence and the Italian Ministry of Culture. In 2015, they won the Funder 35 call for tender for young production companies working in the field of culture. Since 2007 they have joined the Fies Factory project promoted by Centrale Fies, and since 2013 they have been a resident company at Pistoia Theatre Association. In 2017 Sotteraneo enters the European network Apap – Performing Europe 2020 and in 2018 enters the European project SHIFT KEY. 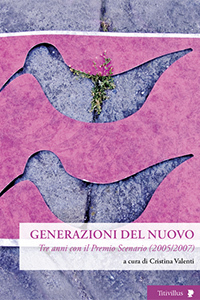 2005 > Sotterraneo is awarded Generazione Scenario 2005, for giving, according to the panel, a «very calibrated rhythm to plot, dialogues and stage actions, outlining in some moments some credible micro-dramas, but then defining more explicite abstractions of movement with a remarkable sign potency». 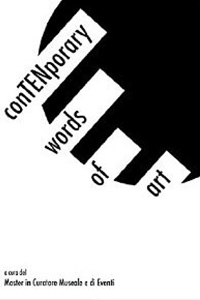 2007 > In October 2007 Sotterraneo is selected to take part in the 3-years FIES FACTORY project with Teodora Castellucci, Francesca Grilli and Pathosformel: a bunch of emerging Italian performing artists and groups of artists which will be supported in production, residency, organization. From 2010 the Factory is made up by Sotterraneo, Anagoor and Marta Cuscunà. 2008/09 > Sotterraneo wins the ETI ‘Nuove Creatività’ bid and the ‘Emergenze creative’ bid promoted by the Municipality of Florence. 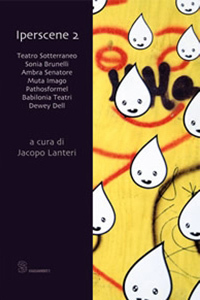 2008 > Since 2008 Sotterraneo is granted the Region Tuscany annual fund for young theatre groups. 2009 > Sotterraneo is awarded with “Lo Straniero” prize for being «one of the most meaningful examples of a new verve in the Italian theatre», a group that «managed to challenge the recent innovations of many arts, thanks to its original point of view, without ideological blinkers within the contradictions and worries of its generation». 2009 > Sotterraneo is awarded with the Ubu special prize for being one of «the leading groups […] in the current generational change somehow reviving the splendours of the Roman school, managing to renew the scene, challenging language and emphasising the most worrying and embarrassing aspects of our existence thanks to a smart use of new visual and linguistic codes». 2010 > Sotterraneo has been awarded with the Hystrio-Castel dei Mondi prize, for young acting companies with the following motivation: «In just six years […], Teatro Sotterraneo managed to renew the scene thanks to a language where formal rigour and mockery entwine. 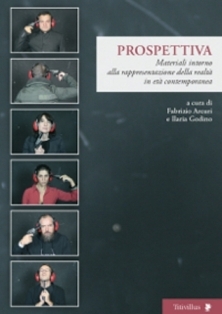 From “Post-it” to “La Cosa 1”, to the dyptich made up by “Dies irae” and “The Origin of the species”, Sotterraneo has explored with obstinacy and light-heartedness the topic of the end, both of individuals and of Western society, drawing towards complex issues audiences different in age and education, thanks to a stage approach able to join deepness and accessibility. The group from Florence […] goes on analysing the present with a caustic wit, creeping in pop formats totrigger unusual escaping hatches always balanced between an epic fresco and a generational portrait». 2011 > “Dies irae _ 5 episodes about the end of the species” is awarded with the Silver Laurel Wreath Award at MESS Festival of Sarajevo. 2012 > Sotterraneo is awarded with “Eolo Award” as best new show for Children’s Republic. 2012 > In the same year, the company is awarded with the ACT Festival Prize and the BE FESTIVAL 1st Prize at Be Festival of Birmingham for Homo ridens. 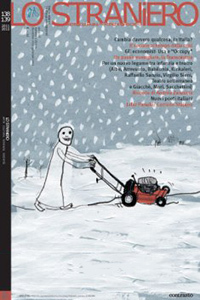 2015 > Sotterraneo wins the Funder 35 call for tender for young production companies working in the field of culture. 2016 > Since 2016 Sotterraneo is part of APAP/Advancing Performing Art Projects. 2016 > Sotterraneo wins the SIAE/Sillumina call for tender for the international tour of Overload. 2016 > Sotterraneo wins the Best of Be Tour (consisting in a tour in Spain and one in the UK) at Be Festival of Birmingham for Overload. 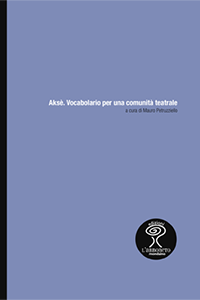 «What is Sotterraneo language made up of? It is not made up of emotions, systematically denied before they are even born, not of images sacrificed for a bare style, not of stories with a logical meaning whose representation is not even taken into consideration: as a matter of fact, this group – among the most emblematic of this last generation – relies almost only on the pure psycho-physical energy, on the exemplary composition rigour and on an allusive communication, ironically transversal. They do rest on a very strong personality: you have to be really self-confident to renounce everything, being aware that the audience will never lose his attention». «A hidden, disguised rage yet able to mark your skin as a changing caress goes through Teatro Sotterraneo shows[…]. Their creations […] slap the mediocrity of our times in the face, a mediocrity we all are responsible for. The never failing rhythm turns into an incredible directness: these are the two main factors Teatro Sotterraneo uses to reveal its approach to everyday life. An approach never taking itself seriously but forcing the audience to do so. […] Teatro Sotterraneo’s exploding irony can be interpreted as genuine humour. A violent humour that reproduces the violence of the world […]. Much much laughter bursts out, going from a corrosive speech able to thwart every expectation to moments of pure physical theatre; however, a bitter after-taste creeps into gags and funny jokes: laughing becomes sad and livid and it hurts. A while after entering the theatre, revelation is almost complete: people laugh but through laughing they discover and realize who they are. The ugliness of everyday life […] emerges and makes the audience face reality. This proceeding voices rage. A changed rage, disguised as a harmless laughter of course. But you can’t be mistaken». «Sotterraneo is the group of the moment, we cannot deny it. […] They are keeping on a decostructing work started a few generations ago, in the ’70s, but Sotterraneo is carrying this work out – and this is the most important innovation introduced by the generation lead by the Florentine group – by combining complexity and accessibility without predictable oppositions. And they know that the aggregating element, the element that can change every spectator in a temporary community, is the (bad) conscience of the silent connivance with a system that gives money and success the most value […]. Sotterraneo offers a show always examining the present with caustic light-heartedness, creeping in pop formats to trigger escaping hatches that alter polarities and pave the way for new, revelatory combinations». «Being a spectator of Teatro Sotterraneo’s shows is like being caught red-handed, not by a silly stand up comedian that mocks us in the false truth of his over-lighted TV studio, but by the true fiction of a theatre pact without frills. […] and the spectator, thanks to presumed involvement in the dramatic action, is placed in the position of a passive observer of his own disaster. It is by taking up the ridiculous of stereotypes that this group faces in some way, and with different results, shamelessness and embarrassment as a creative field». «Heavy irony normally becomes a means of questioning the performance. Every object, every gesture, every action loses its meaning or lets it slide continuously. A number of theatre companies declare they’ve got nothing to add and start up with facing the idea of ‘end’ – end of their feelings, identity, and most of all of theatre as a whole. The language of disintegration, developed by Kinkaleri over the last few years, is used to create a background, although with a substantially different spin on it. 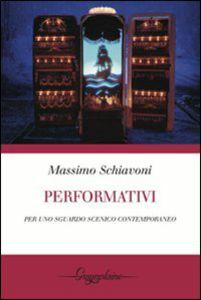 What matters is the actual setting up and dismantling of the stage, as seen in performances by Teatro Sotterraneo […]. Such approach is highly problematic as it implies setting boundaries – desperation made up of nervous tics, irony bordering on cynicism, a game where utopia becomes a joke. The act of performing is denied, yet is the only way forward – it’s a question of plucking up the courage and coming to terms with the real world, of trying to find new means to reach the audience in a clever way. Images from everyday life should therefore be object of criticism, not put aside altogether».